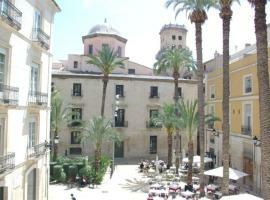 Alicante Localisation : Country Spain, Autonomous community Valencia, Province Alicante. Nearby cities and villages : Campo de Mirra, San Vicente del Raspeig and St Joan d'Alacant. Find below the times of sunrise and sunset calculated 7 days to Alicante.